With the season hitting its peak, there’s plenty of activities and information floating about. 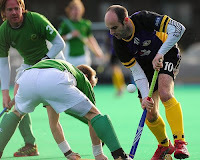 Sign up to the IHA’s Hockey Happenings – on http://www.hockey.ie/ – for more information on many of these snippets. * Old Alexandra are joining up with Old Wesley Rugby Club to run a Fashion Show to fundraise for both clubs on April 4, 2009 in Elm Park golf club. Tickets cost €30 and include a wine and cheese reception before the fashion show gets underway. 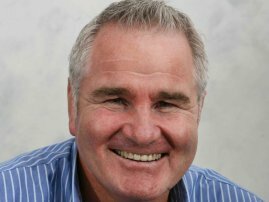 The event will be compered by Brent Pope. For more information or to purchase tickets, contact Babs Luke on 086 4011 787 or clubcaptainoahc@gmail.com. * The ESB Irish hockey awards night is on May 23 this year and all club secretaries and branches have been contacted for nominations. Each club and branch can nominate up until the closing date of April 14 and have been sent the link with the nomination form. Contact your club secretary now to ensure your club has nominated who you think deserves to be honoured on the night. * There’s a second chance to see the lively encounter between Pembroke and Glenanne in the Irish Senior Cup as RTE 2 will broadcast highlights on April 4 as part of their OB Sports show. The show begins at 2.15pm. * Newbridge HC became the first club to benefit from the Club Equipment Scheme Contract, launched recently by the IHA. The scheme is a way to reward clubs who submitted a Development Plan last year. Newbridge HC received approximately €800 worth of equipment to use for the development of their youth section. The club currently runs a youth programme in five local primary schools, catering for around 120 children. * The EHF have announced they will discuss the feasibility of introducing a female version of the Euro Hockey League at the KO16 round in Hamburg. The direct implications that, should it be agreed for the competition to be hosted in the 2009/10 season, the number of qualification places per country wil l be decided based partly on results in this year’s EuroHockey Club Championships and Cup Winner’s Cup competitions. * The Tricks 4 Sticks programme is set to spread to Arklow after success a little further south in Gorey. Three schools have been added to the list of schools to try hockey for the first time. Tricks 4 Sticks was launched in November 2008 in Gorey and to date around 285 students from 4th to 6th class have tried hockey. It is expected that another 100 students will get involved from Arklow. The greatest achievement so far as a result of the programme has seen the creation of a Gorey junior section managed and organised completely by the Gorey HC players. * The IHA is currently registering interest for a Tutor Training Course to run during Summer 2009 in Dublin (dates to follow) in conjunction with Coaching Ireland. The course requires four classroom days (2 full weekends) plus a further 9 contact days as an Assistant Tutor (or attendance at 3 Level One courses) in order to fully qualify as a Level One Tutor. This initial process is to simply gauge interest in the tutor course and is not a confirmation of attendance. If you have any questions, please do not hesitate to contact the IHA on fiona.mills@hockey.ie. * The IHA recently contacted all club secretaries to advise of a review of all its club competitions. As part of this review, all clubs have been requested to submit proposals and suggestions regarding any aspect of our current competitions. As such all Club Secretaries have been invited to submit in writing your club’s opinion to joan.morgan@hockey.ie at the hockey office by Friday, April 3 2009. So please ensure that your club has the chance to submit their ideas by contacting your club secretary.